Zanski is the all-encompassing alias of the Toronto vocalist and producer, Tom Probizanski. An artist who quickly made waves upon entering the music scene in early 2017 with the release of his Collapse EP, Zanski weaves electronically laced R&B with the infectious sounds of guitar and striking falsettos. Zanski released his second EP in spring of 2018, Titled Derivative Emotion. 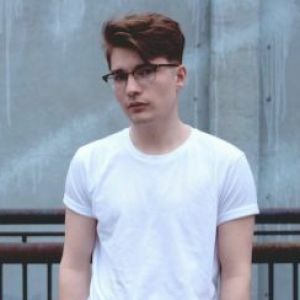 Attesting to his talent both as a producer and vocalist, Zanski has already racked up 80,000 monthly Spotify listeners, 3 million Spotify plays and 4 million SoundCloud plays. His music has been featured on popular Spotify playlists such as New Music Friday Canada, Fresh Finds, Indie Pop Chillout, Viral Hits Canada and R&B Right Now. Zanski’s music has also been featured on IndieCurrent, Indie Shuffle, and Kitsune, among others.